Democratic Governor Ralph Northam’s plan to allow a de facto $1.2 billion tax increase on the middle class is "dead on arrival" in the House of Delegates, House Majority Leader Todd Gilbert, R-Woodstock, said. "To be very clear, the governor’s proposal to increase taxes on those hard-working Virginians is dead on arrival," Gilbert said in the House floor. "We are not going to participate in that. We are not going to discuss that. That is a non-starter for this caucus and we are not going to go along with it." Republicans currently hold a 51-48 majority in the House of Delegates and a 21-19 majority in the Senate. Gilbert said that the Republican caucus’s main priorities are not just to stop proposed tax hikes, but also to take action to prevent an inadvertent tax hike that will come as a result of a change in the federal tax code with the Tax Cuts and Jobs Act. Although the act decreased the federal tax burden throughout the country, a Virginia tax code that requires Virginians to take the same state deduction as they do in federal deductions will lead to an anticipated $1.2 billion tax increase over the two-year budget period unless action is taken. With the federal standard deduction raised and Virginia’s standard deduction remaining the same, residents will be forced to itemize less and pay more in taxes. To fix this problem, Republicans are backing a plan to allow Virginians to itemize their state taxes regardless of what their federal tax status is. Additionally, the plan would increase the state standard deduction by one-third, which will bring the individual deduction up to $4,000 and the married deduction to $8,000. Although Northam did not propose a tax increase, his budget increased spending and did nothing to halt the additional $1.2 billion in revenue that would be caused by the change in the federal tax code. Rather, the budget assumed the money would be added into the fund to cover the additional costs. On Tuesday, Republicans received three additional co-patrons to the bill that would prevent the tax increase. House Speaker Kirk Cox, R-Colonial Heights praised their decision to co-patron the bill. "I am proud of our team for working together to develop a commonsense approach to protect middle class taxpayers from the hidden tax increase proposed by Governor Northam," Cox said in a press release. "By adding these co-patrons we are sending a message that Republicans are unified around a piece of legislation that stands in stark contrast to the ideas and proposals being presented by the Democrats." "The people of Virginia deserve to keep as much of their hard earned money in their pockets as possible," Dickie Bell, R-Staunton, one of the new co-patrons said in the press release. 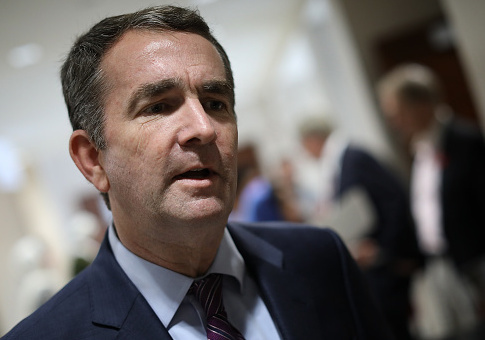 "This plan will return money to hard working taxpayers while Governor Northam’s plan forces families to pay hundreds of dollars in higher taxes and uses that money to drastically increase government spending." The other two additional co-patrons are Delegate Chris Peace, R-Hanover and Delegate Joe McNamara, R-Roanoke. This entry was posted in Issues and tagged Ralph Northam. Bookmark the permalink.